This map shows where the hidden walls are in the Fuchsia Gym in HeartGold/SoulSilver. 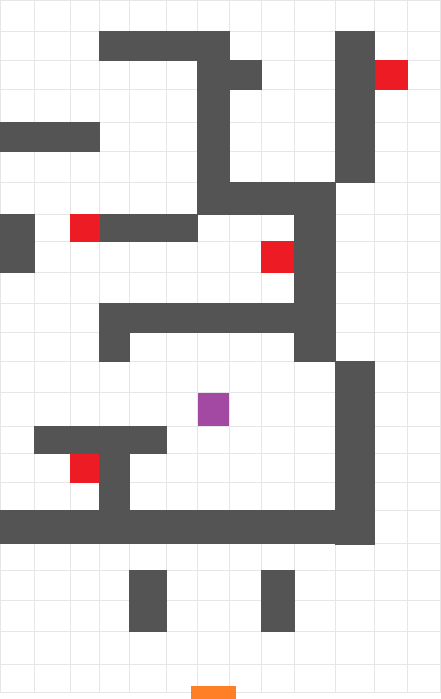 Red squares indicate trainers (fake Janines) and the purple square is the real Janine. Thanks to DarthDestiny for making this for us.